Not having a phone or tablet PC or being stuck using an old mobile device can be difficult. If you have a poor credit record or are blacklisted when you apply for a new phone contract you will in many cases be declined. Get Cell Phone Deals is here to help and makes it easy for you to apply and get the phone you want even if you have bad credit or are blacklisted. 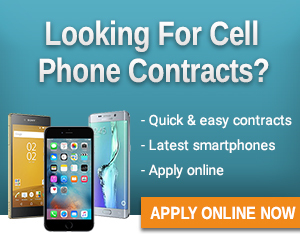 Working with many of the leading cellular service providers in the country means that they are often able to help you get the phone or tablet PC you want even if you have been rejected when you applied yourself.